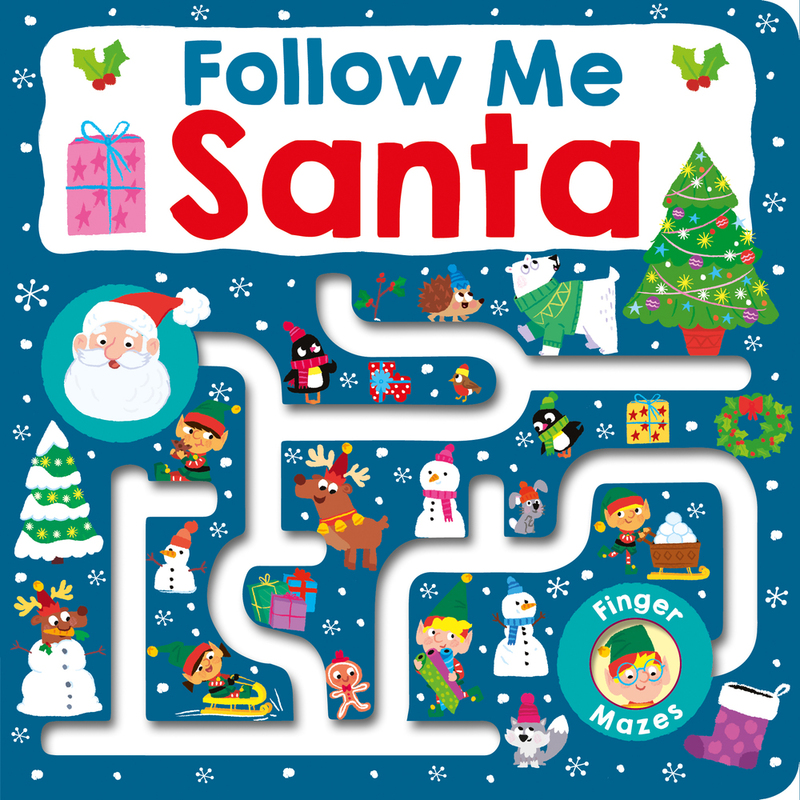 Follow Me Santa is a fun-size, festive maze adventure in the Follow Me series featuring Christmas characters, busy scenes, and finger trails. 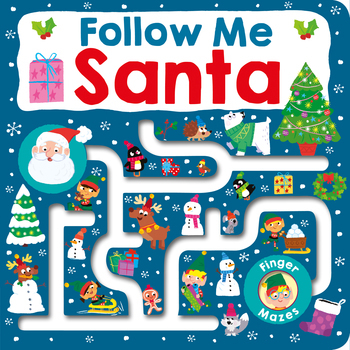 Follow Santa through colorful, festive scenes on his Christmas Eve journey as he collects the presents, then his reindeer, and travels across the world delivering gifts. 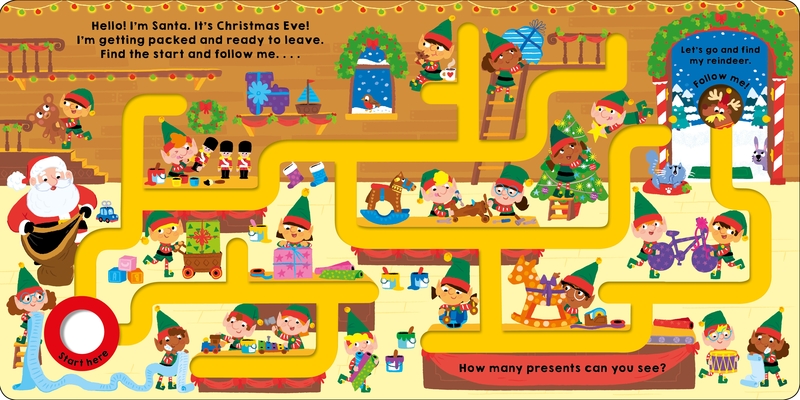 Children will love exploring the paths with their fingertips to trace each maze from hole to hole, and meet festive friends along the way! From gifts, to polar bears and children tucked up in bed, there is lots to search for and find. The tracing element is great for developing fine motor skills and the search-and-find activity throughout will help with spacial awareness. 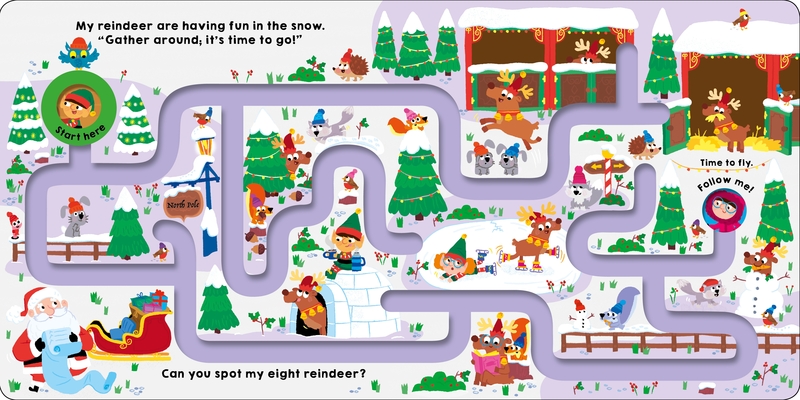 A great book for little hands to explore and a perfect gift for Christmas. Also available: Follow Me, Follow Me Around the World, Follow Me Halloween, and Follow My Heart.